Information is half the battle. And it is our weapon in ensuring clean and honest elections. I am posting several kinds of contact information and numbers to help us on election day, starting with contact numbers to call in case of any election problems or irregularities. The information includes COMELEC national, regional/provincial, and local numbers. I am also placing the numbers of election watchdogs. At the end of this post, you will also see resources such as the official list of candidates for national positions, the PNP nationwide directory as well as select links that will give us more information. Please feel free to post a comment if you know of more agencies and groups we can call for any election problems or concerns. Here’s to making the right decisions for the future of our beloved country! This entry was posted in Latest, News and tagged 2010 Elections, Candidates, Comelec, Contact, Election 2010, Eleksyon 2010, Halalan 2010, Namfrel, Omnibus Election Code, PNP, Politics, PPCRV by Ralph. Bookmark the permalink. 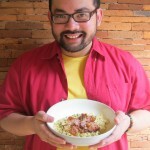 By the way, have you ever heard about yummy-cebu.com? I hear they just finished a new contest called Mama’s day out! wish i can see some election results here in our city, Gapan Nueva Ecija. What will i do if my voters i.d was hit by the fire last nov. 11,2013 in my bording house in lapu-lapu city? So sorry for the late reply. Have been in hibernation, so to speak. I’m not sure what the process is. Perhaps going to City Hall’s Election/Comelec office might be a good first step to find out.